Series: Advances in Intelligent and Soft Computing, Vol. 15. - First book on the foundations of rough sets since 10 years. - Presents deep theoretical results in the book form for the first time. - Over 300 exercises and an extensive bibliography with all relevant works and current research. - Self-contained structure providing all relevant information from respective areas of mathematics and logics. 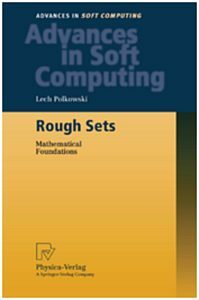 A comprehensive introduction to mathematical structures essential for Rough Set Theory. textbook and as a reference work. Techniques for Computing with Words. Science and for researchers and practitioners in industry and R&D laboratories. Soft computing comprises various paradigms dedicated to approximately solving real-world problems, e.g., in decision making, classification or learning; among these paradigms are fuzzy sets, rough sets, neural networks, and genetic algorithms. It is well understood now in the soft computing community that hybrid approaches combining various paradigms provide very promising attempts to solving complex problems. 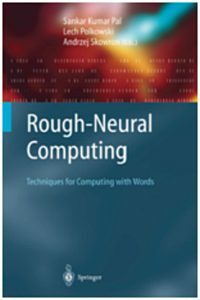 Exploiting the potential and strength of both neural networks and rough sets, this book is devoted to rough-neurocomputing which is also related to the novel aspect of computing based on information granulation, in particular to computing with words. It provides foundational and methodological issues as well as applications in various fields. - An Introduction to Rough Mereology. - Recent research on Approximate Reasoning. - Written by a leading expert in the field. Theory : Set Theory. 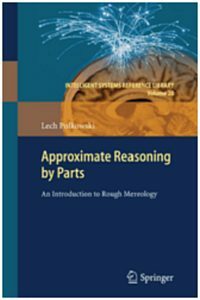 As with Mereology, Rough Mereology finds important applications in problems of Spatial Reasoning, illustrated in this monograph with examples from ehavioral Robotics. 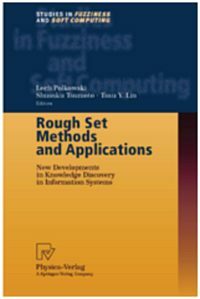 Due to its involvement with concepts, Rough Mereology offers new approaches to Granular Computing, Classifier and Decision Synthesis, Logics for Information Systems, and are--formulation of well--known ideas of Neural Networks and Many Agent Systems. All these approaches are discussed in this monograph. This book presents a study in knowledge discovery in data with knowledge understood as a set of relations among objects and their properties. 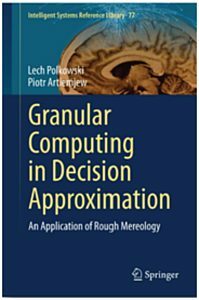 Relations in this case are implicative decision rules and the paradigm in which they are induced is that of computing with granules defined by rough inclusions, the latter introduced and studied within rough mereology, the fuzzified version of mereology. In this book basic classes of rough inclusions are defined and based on them methods for inducing granular structures from data are highlighted. The resulting granular structures are subjected to classifying algorithms, notably k—nearest neighbors and bayesian classifiers. Experimental results are given in detail both in tabular and visualized form for fourteen data sets from UCI data repository. A striking feature of granular classifiers obtained by this approach is that preserving the accuracy of them on original data, they reduce substantially the size of the granulated data set as well as the set of granular decision rules. This feature makes the presented approach attractive in cases where a small number of rules providing a high classification accuracy is desirable. As basic algorithms used throughout the text are explained and illustrated with hand examples, the book may also serve as a textbook.